Some like emeralds, and some like rubies! This was custom made for a customer for Christmas 2000. We only had it for about an hour and these were the best pictures. It was stunning and looks like it should be priced thousands more. 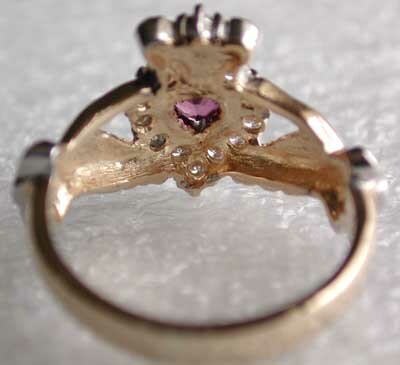 These make excellent engagement rings or an anniversary ring. We have had good luck in substituting various other stones. 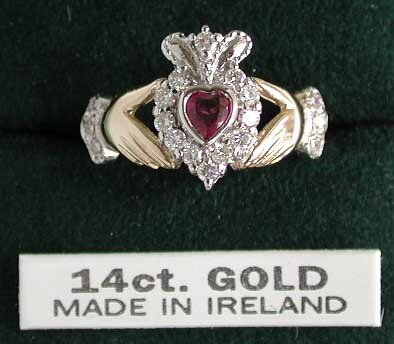 These are custom made to order in Dublin Ireland so allow 4-6 weeks. 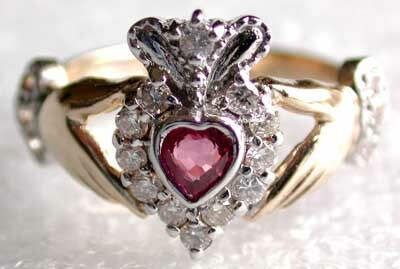 Rubies are scarce so please be patient. 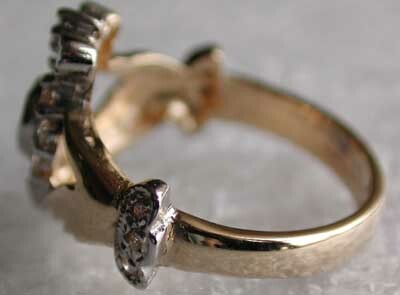 $1,395.00 for 14kt yellow gold. 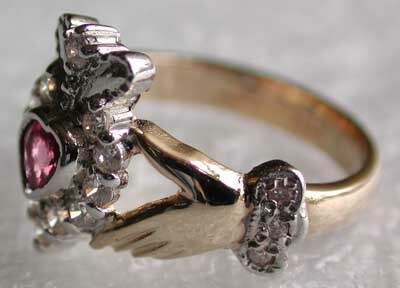 This is the all white gold. 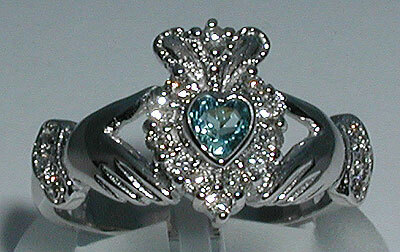 This person chose a gemstone quality aquamarine with diamonds! It was $1,395.00.